A page from my sketchbook. 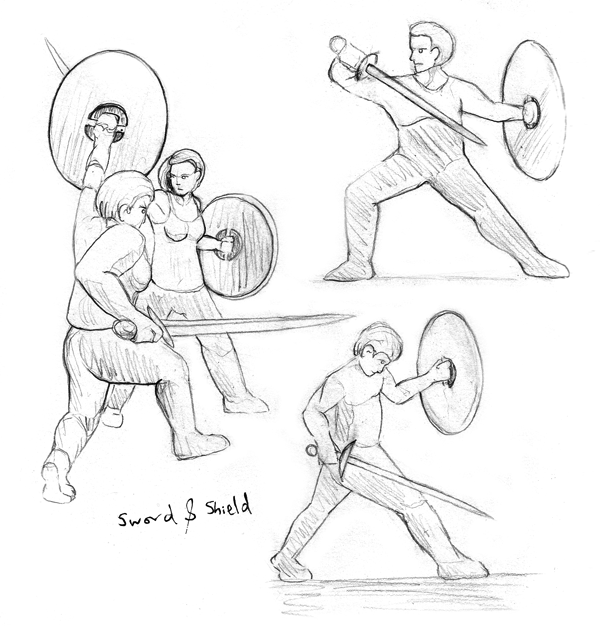 I am practising drawing sword-fighting by copying freeze-frames from combat videos. When we get some actual fighting in Epic Fail I want it to look right. Don’t be suprised if you see some of these poses used in the comic. Oh! And for those who want to pre-order Epic Fail #1 today is your last chance, after that they are closed.